Have the kids get in two teams. Have each team member roll to the finish line and then run back and tag the next person to go next. First team who finishes all their players wins. We used a metal chair for the finish line. The kids were rolling so fast they almost smacked into it. Some kids rolled so fast they almost hit the wall. lol. They were speedy little things. 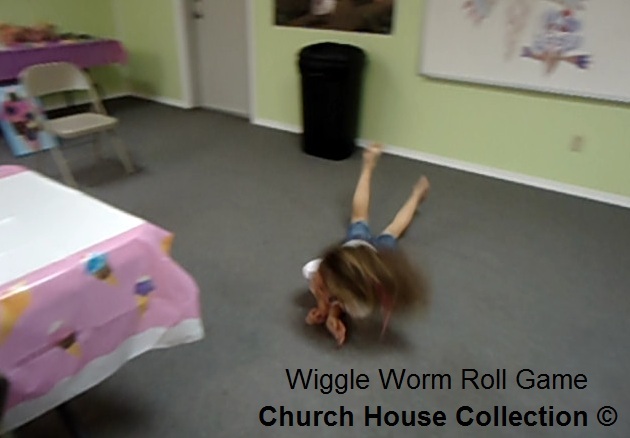 You can let the kids play this game during class time or for a fall festival, VBS, or a youth gathering at church. I always like the free and simple games that the kids can do that does not cost any money.